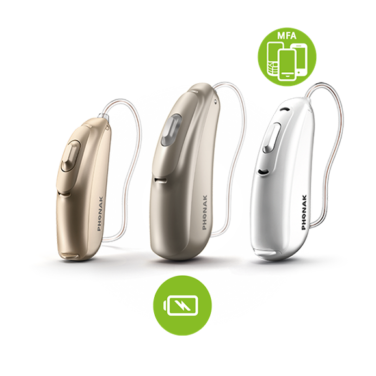 The Phonak Audeo B Direct hearing aid is the worlds first “Made for All” hearing aid which means it can directly connect to both iPhone and Android devices with Bluetooth technology. This allows you to stream audio from your phone directly to your hearing aid. The Phonak Audeo B Direct is also the first hearing aid which utilises the hearing aid microphone for a true hands free experience. Unlike other hearing aids with phone connectivity, with the Phonak Audeo B Direct you don’t need to hold your phone to your ear while utilising the streaming feature. You can also use the button on your hearing aid to answer or reject calls so your phone can conveniently stay in your pocket. 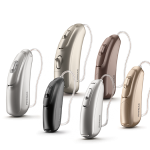 Like the non “Direct” version of the Phonak Audeo range, the Audeo B Direct comes in 4 technology levels, starting from the B30 which is the essential model, the B50 which is the standard, the B70 which is the advanced and the top of the range B90 which is the premium model. The Audeo B Direct builds on the already successful Belong platform which uses Phonak’s Autosense OS to automatically adjust your hearing aid depending on the listening environment you find yourself in. 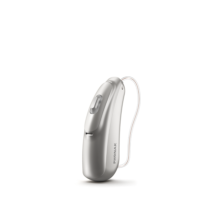 The new Direct is also compatible with Phonak’s TV connector accessory which allows the hearing aid to automatically pair with your TV whenever it is in range of the device. If you’re interested in trialling the Audeo B Direct 100% risk-free 45 days or are unsure if this device is suitable for you, please get in touch with us today on 1300 848 335. How long do the batteries last on the Audeo B Directs? Audeo B Direct comes with a size 13 battery. Battery life depends on how much you use the hearing aids, particularly the phone streaming features. Bluetooth has the potential to drain the battery faster than normal. 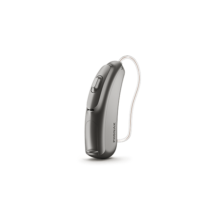 If mainly using the devices for hearing improvement functionality only expect to change batteries every 5-7 days. If using bluetooth the batteries will need to be replaced closer to every 4-5 days. Can I stream TV audio directly to my hearing aids? Yes. 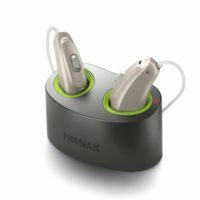 By purchasing the Phonak TV connector, which Hearing Choices sells for $250, you can wirelessly stream TV audio directly to your hearing aids. 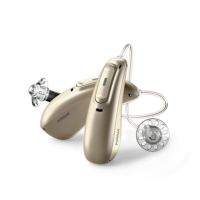 Just plug and play and use your hearing aids like a wireless pair of headphones. Does phone audio stream into one or two ears? Without the TV connector accessory, the Audeo B Directs only stream audio into one ear. 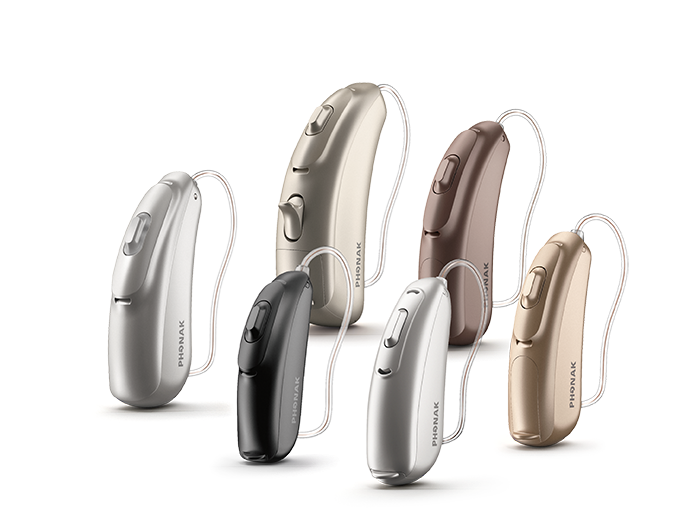 What makes these hearing aids stand out from competitors’ though, is that the aids can be used as a bluetooth headset. The hearing aids can pick up your voice without you holding your phone up to your mouth.